What was front and center during this election? Cronyism, corruption, rejection of political insiders and a huge lack of trust in our government and the media. Hmmmm,,,,Sound familiar close to home? Like the crony, corrupted Go Hillsborough campaign? Backers of the referendum now lament what they see as a missed opportunity to capitalize on an electorate they believe would have viewed the referendum favorably. Before it failed, proponents said internal polls showed support as high as 65 percent. And it had backing from business groups like the Greater Tampa Chamber of Commerce. "When I saw Hillsborough County vote for Hillary Clinton, when I saw Hillsborough County elect a new Democratic state attorney, when I saw those types of votes, I truly believed that if it was on the ballot we would've passed it," County Commissioner Les Miller said. It's entirely possible Hillsborough's proposal, dubbed Go Hillsborough, would not have survived a negative campaign and grassroots opposition from anti-tax and anti-rail factions, just as they helped defeat a 2010 referendum and a similar 2014 ballot initiative in Pinellas County. It faced headwinds, too, from some traditionally liberal groups who felt the proposal lacked a substantive transit investment. Of course, the Times refused to name the grassroots opposition who led efforts to defeat the 2010 and 2014 sales tax hike boondoggles - NoTaxForTracks. The Times refused to speak with those who have been consistently publicly fighting for fiscal responsibility and opposed putting the sales tax hike on the 2016 ballot. Who pushed this narrative with the Times? The backers of the proposed sales tax hike referendum? Those backers included deep pocketed special interests, the Tampa Chamber of Commerce, Commissioners Les Miller and Ken Hagan, Mayor Buckhorn, the Times editorial board and the cozy confidante of them all Beth Leytham. As demonstrated by Tuesday's election, Hillsborough is inching from purple to blue in ways that should embolden leaders to push for it sooner rather than later, said Beth Leytham, the public relations consultant who worked on Go Hillsborough. "You can't go back, but I do believe it would've passed," Leytham said, "And what we just saw gives you a really good reason to look at 2018 instead of 2020." Can't make this stuff up. The very person who led the failed, crony and corrupted Go Hillsborough campaign thinks a sales tax hike would have passed this election. There is no evidence to support such hypothetical as even deep Blue Broward County rejected a tax hike. The Times continues to ignore that trust, especially regarding our county budget and where the county spends our existing revenues, continues to be a big issue in Hillsborough County. Instead of pushing false narratives from a politically well connected PR person, the Times should be interrogating our county budget. The Times continues to refuse to ask our county commissioners tough questions about our budget or hold them accountable. They would better serve their readers if they stopped regurgitating talking points from an unelected bureaucrat, County Administrator Mike Merrill. The public is well aware of the politically well connected Leytham's very cozy relationship with the Times, Commissioner Hagan and Mayor Buckhorn, all who support a sales tax hike. Leytham serves as an information traffic cop between the media and numerous political elites and special interests. 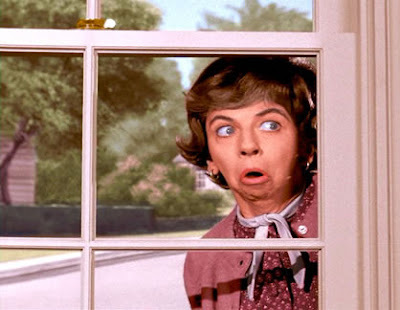 So hold onto your wallets because Leytham, our highly paid local busybody Gladys Kravitz, wants to put another sales tax hike boondoggle on the 2018 ballot. Since busybody Leytham has been on the losing side of every sales tax hike initiative in Tampa Bay, why does her opinion matter? Perhaps busybody Leytham wants to jump start a PR campaign for 2018 now so the Times, who wants a sales tax hike, obliges with this article. Maybe busybody Leytham, who was paid hundreds of thousands of taxpayer dollars leading the failed crony Go Hillsborough campaign, is looking for another lucrative PR contract another campaign could land her. But….Busybody Leytham is the epitome of the crony political insider this election clearly rejected. And the Times appears to not get it. There's so much money involved that they'll never give up trying. And we have to be vigilant to make sure they're thwarted at every turn. Very disappointed in the performance of the Republican party in Hillsborough and Orange.